Guangzhou Stec Machinery Co., Ltd. This machine is used to cut all kinds roller blind fabric,including sunscreen fabric,pvc coated fabric,zebra fabric and so on. 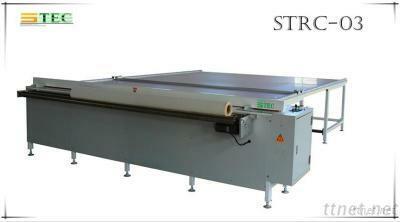 2.Blade will come up when cutting,and cutting process finish in the close condition,safe for operating.